A Good Space in a nutshell! We are a community of changemakers creating immersive experiences to help the public expand perspectives across diverse social issues. We also support changemakers to do more good by connecting them with one another for collaboration, enabling them to touch more lives through partnerships with organisations, marketing and media opportunities and physical space for their events. Here is how we got started. A Good Space is where changemakers flourish as a community to imagine and create experiences that expand perspectives across diverse social issues. In February 2017, two friends gathered for a conversation. Both were deeply concerned about the increasing polarization of our society and world – whether in race, religion, class or ability. The implicit trust we have of each other in the society seems to be eroding. They wondered: How can we create more and safer places for more understanding and acceptance, without waiting for the government to do this for us? How can we mobilise the collective wisdom of the community to bring us closer, not further apart? The two friends, Anthea Ong (social changemaker and founder of Hush Tea Bar) and Melissa Kwee (CEO of the National Volunteer and Philanthropy Centre) came together to conspire A Good Space as a community-led effort to transform ordinary spaces into places of purposes by convening catalysts to invent, innovate, intersect and inspire communities. The first Good Space was born at the National Volunteer and Philanthropy Centre, with the support of the team and the Citizen Engagement Fund from the Ministry of Community, Culture and Youth that helped us all to kickstart the journey. We host changemakers, our Good Starters, who put up events that align to our curatorial intent of expanding perspectives, tackling a social issue in an innovative way, and are open to public. Our curated events, held primarily at the National Volunteer and Philanthropy Centre, the touch the lives of Good Souls, members of the public who attend our events. We hold flagship events, A Good Pitch, A Good Day and A Good Conversation, which you can find out more about here! A Good Pitch was started with the intention to encourage people to start taking action for the causes they are passionate about, by removing much of the red tape and making it easy to kickstart their journey. A Good Day brings together changemakers working on different social issues to explore unknown possibilities to educate and engage with members of the public, through a variety of social issues and various engagement formats. A Good Conversation, a two-part experiment in community building, brought 31 changemakers from different social issues together to discuss this question: What is the Singapore of our dreams that we cannot create alone? What came out of it was a renewed passion for our society, along with deep and insightful conversations that continue to breed meaningful relationships and exciting partnerships. While the social issues we deal with can be serious, we believe social impact should be fun, embracing play and our child-like openness to create wonderfully new approaches to making a difference. We want to make sure that no one feels alone on this journey of making a difference; we hope to nurture an ecosystem that fosters sharing, support and empathy from other like-minded changemakers. We believe true growth comes from discovering inspirational stories and fostering a “wow” to see the world differently, innovate change and grow impact. Inspiration is good, wow is even better. For ideas and people to grow to be great, they need a safe space for them to be vulnerable, free of judgement, prejudice and hate. We embrace experience to guide our possibilities, not limit them. The unstructured lines embody our intent of perspective expansion and experimentation. Through the coloured dots, we celebrate diversity and intuition (with the letters A and E being intuitively derived). The emphasised word ‘SPACE’ inspires strength and safety. Our tagline: Where People of Purpose Play further bring out our values of purpose and play. Meet the team behind A Good Space! 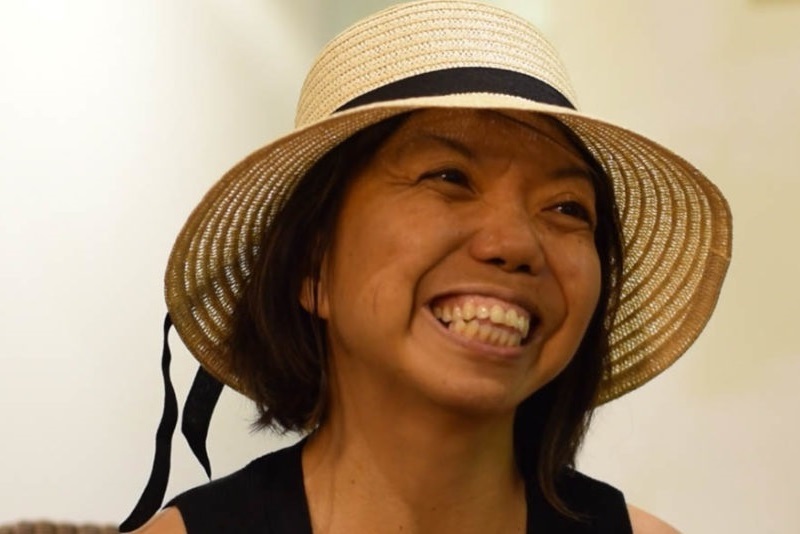 Since 2009, Anthea has founded several community projects, including Project Yoga-on-Wheels, Playground of Joy and Circle of Bliss. 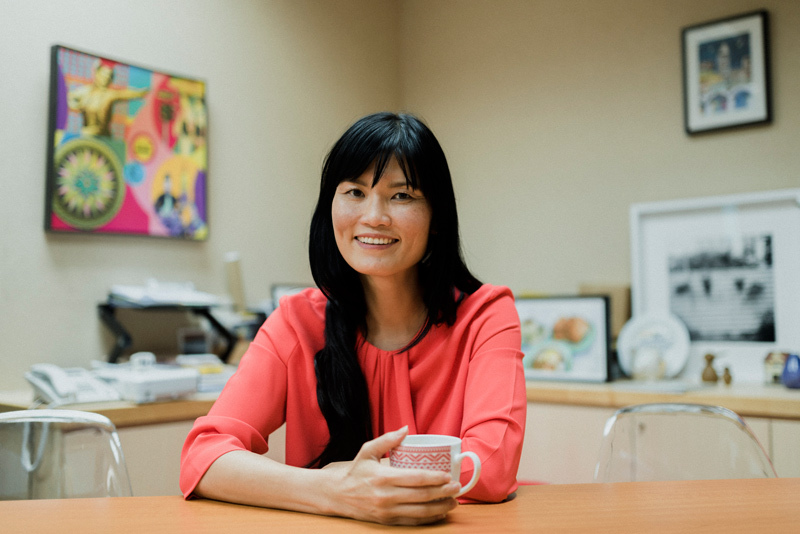 She is the founder of Hush TeaBar (Singapore’s first silent teabar to bring silence and awareness to the workplace facilitated by hearing-impaired employees). Melissa is a social activist, businesswoman and the current CEO of the National Volunteer & Philanthropy Centre. She has started various projects over the years to serve society, including the Beautiful People intiative and Halogen Foundation, which empower youths with mentoring and leadership activities. 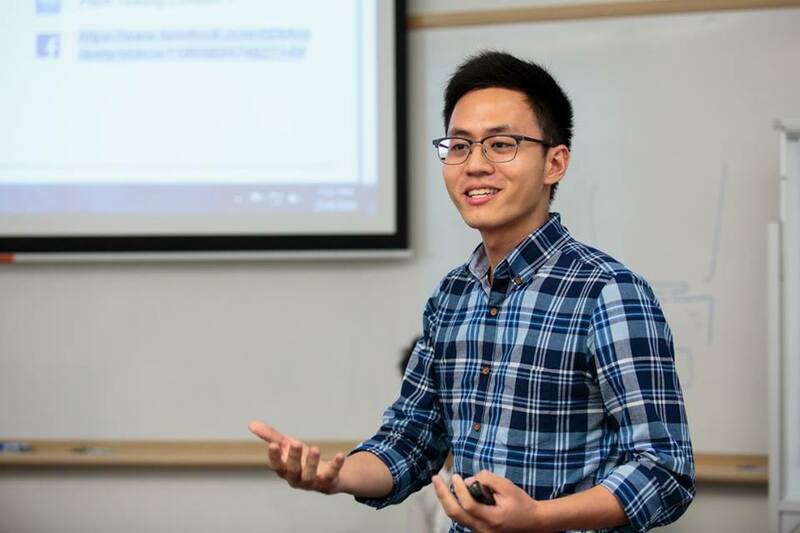 A recent graduate of the National University of Singapore's Business School, Vincent believes business is a force for good and has cultivated a passion for education and social change. He is fascinated by the complexities of human emotions and hope to grow in the areas of coaching and counselling.